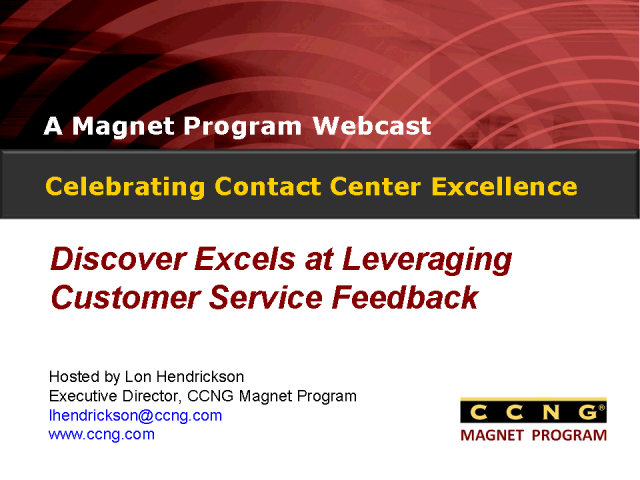 DISCOVER was recently named by the International Quality & Productivity Center (IQPC) as the winner of the “Best Performance Leveraging Customer Service Feedback” category in the 2010 Call Center Excellence Awards. They also received an honorable mention for both “Best in Class Call Center” and “Greatest Job Creating a Culture that Inspires World-Class Excellence from IQPC. We think awards across such a broad set of critical service categories deserves additional recognition and we’re glad we can help celebrate their honors.